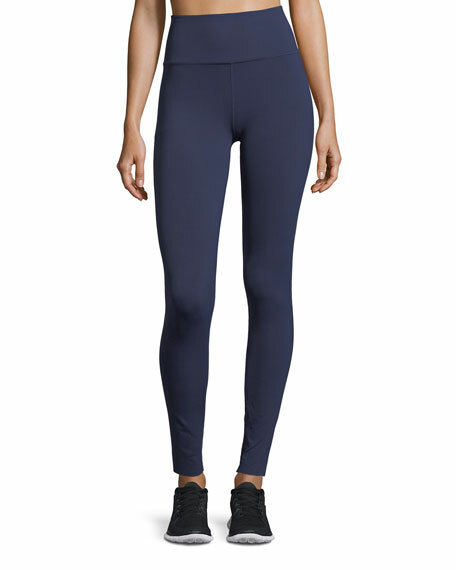 Under Armour "Mirror BreatheLux" leggings in high-performance fabric. 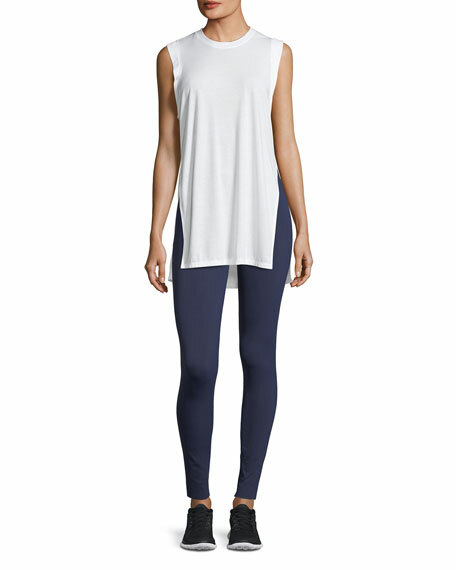 UA StudioLux® fabric deliver relentless support with soft feel. Moisture wicking, quick drying, and four-way stretch capabilities. Advanced seam placement eliminated pressure points and chafing. 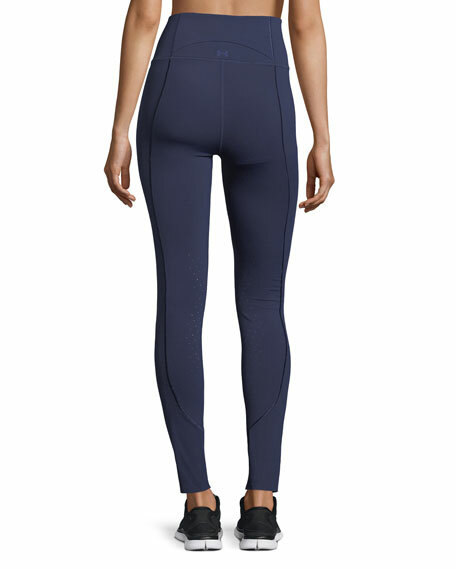 Antimicrobial gusset for a comfortable fit. Envelope storage pocket at back. For in-store inquiries, use sku #2336182.